Twenty- Five Sri Lankan nationals who had been deported from Australia as they had attempted to illegally, arrived in Sri Lanka earlier today (15), police reveal. Airport officials said three women were among the deportees, who had flown to Malaysia and attempted to migrate to Australia illegally. 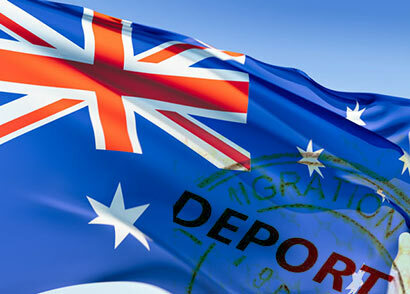 The Sri Lankan asylum seekers were handed over to the Criminal Investigation Department (CID) of the airport. The individuals are believed to be residents of the Vavuniya, Mannar, and Kilinochchi areas. Police added that further investigations on the incident have gotten underway. Australia’s racist, Nazi-like Minister for Immigration is implementing immigration policies similar to the ‘Greatest Nation on Earth’. He does not care about the circumstances which led to these 25 hapless human beings, seeking in racist Australia. BTW, Australia’s Minister for Immigration is likely to become the PM of Australia within the next couple of months. With that change and pressure from other racist political parties (Paulina Hamson of One Nation), Australia will be a racist white’s only regime forcing not only refugees but citizens and visa holders with skin other than ‘white’ to return to their homelands!